Luxury is always top of mind for Erin Ballard. Whether she is delivering white glove service to her real estate clients, presenting a home’s best face to the market or expertly negotiating a sales contract, Erin adds a luxury touch to every detail. 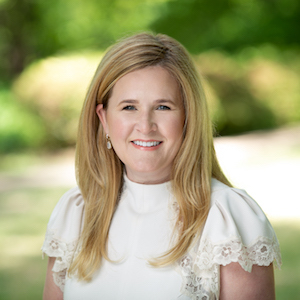 From the beginning of her career, Erin established herself as a savvy businesswoman with a natural talent for connecting the right buyer with the perfect home. She utilizes her extensive sales and marketing background to expertly position homes to the right audience, creating opportunities that lead to results. A market expert who has worked extensively with private clients seeking distinct homes in desirable neighborhoods, Erin believes that a luxury experience is never confined to price point. "I have had the pleasure of working with Erin on several transactions. Her enthusiasm, communication skills and professional demeanor continue to impress me. She is a true professional dedicated to her clients’ best interest." "Erin did a great job helping us get our house sold for a great price. And, more importantly than anything, she was a huge help to our family in all aspects of a very fast and somewhat complex deal, close, move, lease house, etc. transition. Erin is both a great agent and friend for us." Erin’s commitment to serve does not end with her clients. She resides with her family in the Park Cities and is actively involved with La Fiesta De Las Seis Banderas, Young Men’s Service League as well as an avid supporter of New Friends New Life.